S Pen remote control on Galaxy Note 9 allows you to use the new S Pen to control some apps remotely through a Bluetooth connection. You can even customize the app actions corresponding to the single press (press the S Pen button once) and double press (press the S Pen button twice). This Galaxy Note 9 S Pen guide explains how to use and customize S Pen remote control on Galaxy Note 9. 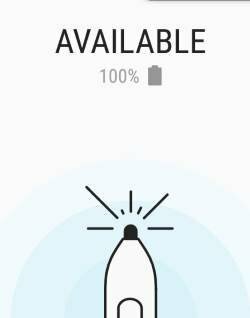 What is S Pen remote control on Galaxy Note 9? The Galaxy Note 9 S Pen is Bluetooth-enabled. And Samsung wants you to use it as a remote control so that you can free your hands from the phone screen. If you ever used a selfie stick, you may already know the importance of a remote shutter for the selfie stick. Now, with Galaxy Note 9, you can just press the S Pen button once to take a photo. You can press the button twice to switch between the front and rear camera. Or when you hook Galaxy Note 9 to a projector to do a presentation (in either screen mirroring or Samsung DeX mode), you can use S Pen as a wireless presenter. Besides the camera app and PowerPoint app, you can also use S Pen remote control on Galaxy Note 9 to control a few other apps. Open app or S Pen function. You can designate one app to be opened when you press the S Pen button (and when you are in Galaxy Note 9 Home screen or Apps screen). You can also choose one S Pen feature (e.g., smart select) if you do not want to open an app. App actions. You can choose the corresponding operations for single press and double press of the S Pen in supported Samsung and Google apps. Universal control or master control. You can assign operations for all third-party camera apps and media apps. Galaxy Note 9 S Pen is a productivity and content-creation tool for Galaxy Note 9. It received a major update since its inception 7 years ago with Bluetooth features. You can now use Galaxy Note 9 S Pen as a remote control for several apps, in addition to the traditional S Pen features such as air command and screen-off memo. This Galaxy Note 9 guide explains the new features of this new S Pen, how to charge Galaxy Note 9 S Pen, and how to check the battery and Bluetooth connection status. Please note, this guide is for the new S Pen bundled with Galaxy Note 9. For S Pen with previous generations of Galaxy Note devices (e.g., Galaxy Note 8, Galaxy Note 7, Galaxy Note 5, Galaxy Note 4, Galaxy Note 3, Galaxy Note II, Galaxy Note, Galaxy Note 10.1, Galaxy Note Pro, and Galaxy Note 8.0), please check this page. What’s new in the Galaxy Note 9 S Pen? S Pen differs Galaxy Note devices from other Android phones and tablets. Samsung included S Pen in a few Galaxy Tab S and Galaxy Tab A tablets after they stopped making Galaxy Note tablets. 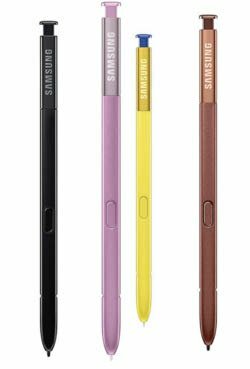 Over the years, Samsung only slightly tweaked the S Pen. From Galaxy Note to Note 4, there were no noticeable changes. Since Galaxy Note 5, a new design with a release spring has been adopted up to now. But it is only a cosmetic, not functional revision. Galaxy Note 9 S Pen probably can be considered as a new generation of S Pen. 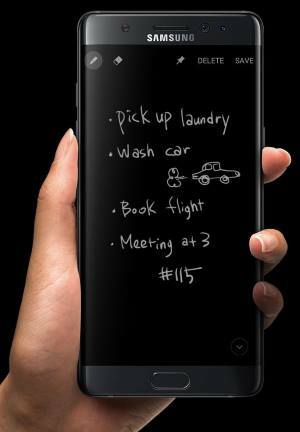 Although the physic design of the Galaxy Note 9 S Pen is almost identical to that of Galaxy Note 8 (or Note 5), there are considerable new features introduced in the new S Pen on Galaxy Note 9. The most significant change in Galaxy Note 9 S Pen is Bluetooth LE support. Should you upgrade to Galaxy Note 9? Is Galaxy Note 9 a right phone for you? 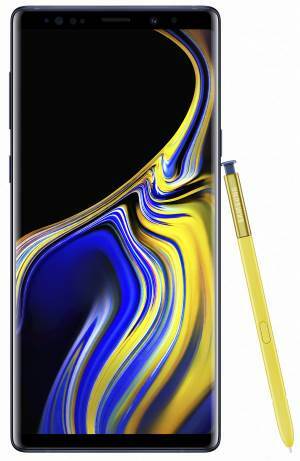 Samsung unveiled Galaxy Note 9, the 8th generation of Galaxy Note devices, on August 9 (press release). You will be able to get one in retail stores on August 24. 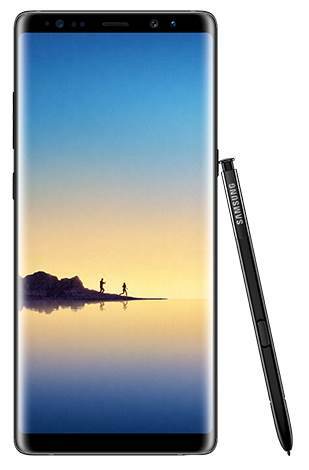 As the latest generation of Galaxy Note devices, you should expect some new features of Galaxy Note 9 in this phablet. This guide will explore the top nine new features of Galaxy Note 9 (compared to Galaxy Note 8) to help you understand the differences and enhancements in Galaxy Note 9. You may check and download the official Samsung Galaxy Note 9 user manual in your local language to try these features. 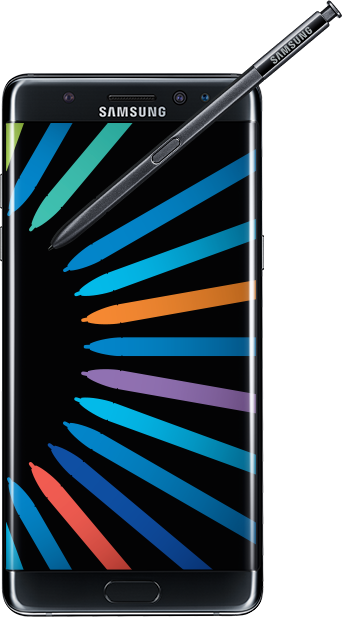 S Pen is one of the signature accessories for all Galaxy Note devices although a few Samsung tablets (e.g., Galaxy Tab S4 and Tab A) started to get S Pen bundled. But S Pen in Galaxy Note 9 got a significant update: the S Pen is now Bluetooth enabled. In addition to all existing S Pen features, you can now use the S Pen as a remote control for Galaxy Note 9: a remote shutter for Galaxy Note 9 camera, a remote control of media player, a presenter for your presentation with Galaxy Note 9, a remote launcher of some apps. You may check this guide on how to use S Pen remote control on Galaxy Note 9. You do not need to worry about the battery life and charging the battery in the new S Pen. You put the S Pen in the S Pen slot in Galaxy Note 9 for 1 minute; the S Pen will be ready for use up to 30 minutes. The secret lies on the supercapacitor, not a regular battery, which powers the S Pen. The lifespan of a supercapacitor is also far longer than a standard lithium battery, and therefore you should never need to replace the supercapacitor even if you use Galaxy Note 9 for the next 10 years. Galaxy Note 5 Android Nougat udpate is the last major update for Galaxy Note 5 in most regions. You may check the the Official Samsung Galaxy Note 5 user manuals with Android Nougat update here. Just like other major Android updates, there are many new features and improvements in Galaxy Note 5 Android Nougat update. Some of these new features and improvements are from Android Nougat 7.0; and others are customized by Samsung for their Galaxy devices. This post will summarize the top 12 new features and improvements in Galaxy Note 5 Android Nougat udpate to help you get the most from the new firmware in your Galaxy Note 5. Samsung finally ditched the old blue/green UI and moved to new Grace UI , which was first spotted in the defunct Galaxy Note 7. Actually, the new Grace UI is now standard in all Samsung devices with Android Nougat. 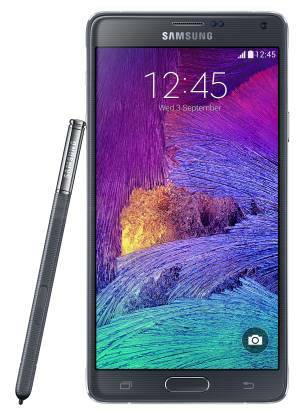 With the new UI, Galaxy Note 5 looks like a modern device. The old UI is really old-fashioned (arguable). Of course, some Galaxy Note 5 may not like the white color based theme in the Galaxy Note 5 Android Nougat udpate. They can easily find many dark themes for Galaxy Note 5. In Galaxy Note 5 Android Nougat udpate, you can find a new entry named device maintenance. enable /disable Intel Security Anti-malware (actually it is re-branded McAfee VirusScan). It is NOT recommended if you get apps from reliable sources. So, device maintenance in Galaxy Note 5 Android Nougat udpate is just a combination of various device management and optimization tools. Everything you need to know about Galaxy Note 7 recall due to potential battery quality issues. Note: I compiled the following info for our Galaxy Note device community. If you need official answers on Galaxy Note 7 recall, please check local Samsung service center. Today (September 2, 2016), Samsung announced globally (excluding China) voluntary recall for Galaxy Note 7 due to possible battery quality issues in some phones. The official statement can be found here and quoted below. For customers who already have Galaxy Note7 devices, we will voluntarily replace their current device with a new one over the coming weeks. 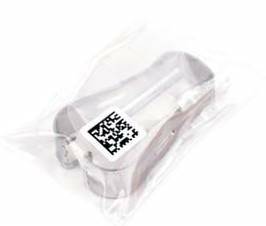 Instructions on the replacement process will be shared next week. 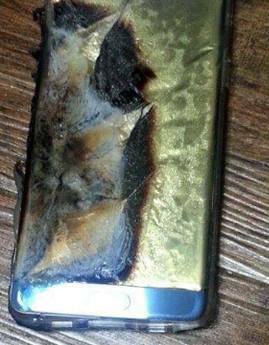 Why Samsung recall Galaxy Note 7 globally? The Galaxy Note 7 recall is due to reported battery issues. According to Samsung, there are 35 cases reported till September 1 (among about 1 million sold Galaxy Note 7 devices). Up to now, nobody is injured. The damage is limited to Galaxy Note 7 devices only. Because Samsung cannot identify the batch of batteries with potential quality issues from one of its two battery cell suppliers, as a preventive measure, they decided to recall all Galaxy Note 7 voluntarily. What does voluntary recall mean? Top 7 Galaxy Note 7 features: iris scanner, water resistant, SD card support, bigger battery, new S Pen tricks, USB Type-C and curved screen. Like it or not, Galaxy Note 7 will be one of the best selling smartphones in 2016. Although Galaxy Note 7 have almost identical hardware specs as Galaxy S7 edge (except S Pen and iris scanner), Galaxy Note 7 is a major udpate for Galaxy Note 5. As explained in Galaxy Note 7 specs post, Galaxy Note 7 is a major update for Galaxy Note 5, not for Galaxy S7 (or S7 edge). In this post, let’s explore top 7 Galaxy Note 7 new features . These top 7 new features in Galaxy Note 7 makes the phone apart from previous generations of Galaxy Note devices, mainly, Galaxy Note 5 or Galaxy Note 4. 1. Iris scanner: the most noteworthy Galaxy Note 7 new feature, but is it just a fad? Before Galaxy Note 7 was announced, Samsung deliberately leaked the iris scanner as one of the top Galaxy Note 7 new features. But many long-time Samsung customers (you should NEVER trust experts…..) had thought the new feature would not work well until 2 or 3 generations later. If you can remember the awkward (and inaccurate) fingerprint scanner in Galaxy S5 and Galaxy Note 4, you would think iris scanner probably would be an usable feature in Galaxy Note 8 or Galaxy S9! It seems most of us are wrong. Iris scanner in Galaxy Note 7 works surprisingly well: both fast and accurate. But the question is whether this new feature makes any sense. to unlock the phone. It is not as natural or easy as using fingerprint. You also have to wake up the screen to use Galaxy Note 7 iris scanner. Of course, iris may be more secure. But do we need such a security for the lock screen? to use secure folder. This is simply a folder secured by your eyes. Technically, it is similar to use password to encrypt a folder. to authenticate your Samsung account, or to use in Samsung Pay. Hardware and software specifications of Galaxy Note 7. Official infographic of Galaxy Note 7 specifications vs Galaxy Note 5. Update 1: Samsung Galaxy Note 7 user manuals in more than 40 languages are available for download. Update 2: Galaxy Note 7 guides page is alive. You can check detailed Galaxy Note 7 how-to guides here. On August 2,2016, Samsung announced the 6th generation of Galaxy Note phones: Galaxy Note 7 (they skipped Galaxy Note 6 to match generation numbers of Galaxy S series). Samsung Galaxy Note 7 Specifications indicate this is an update for Galaxy Note 5. It is NOT targeted for Galaxy S7 0r S7 edge users because essentially Galaxy Note 7 is Galaxy S7 edge with a S Pen. This post will focus on hardware and software aspects of Samsung Galaxy Note 7 Specifications. Discussions, comments, and guides on Galaxy Note 7 will be available in other posts/pages. Galaxy Note 7 is water and dust resistant with a IP68 rating. This is the first Galaxy Note devices that are waterproof. Another hardware design change from Galaxy Note 5 is curved screen, in addition to the curved back. In other words, the curved screen is similar to that on Galaxy S7 edge. Galaxy Note 7 is also the first smartphone with Gorilla Glass 5 for both front and back panel. Galaxy Note 7 has two variants in CPU configuration. For US and other north American markets, Snapdragon 820, not the latest Snapdragon 821, will be used. This means Galaxy Note 7 has identical CPU as Galaxy S7, which is almost half-year old. For other markets, Galaxy Note 7 will get Exynos 8890, which is identical to that in Galaxy S7 and S7 edge in these markets. Again, Galaxy Note 7 is an update for Galaxy Note 5, not for Galaxy S7 edge. Galaxy Note 7 has 4GB RAM, same as Galaxy Note 5 and Galaxy S7. Nothing to complain. 4GB should be good enough for 99.99% users for today’s apps. 6GB probably will be a waste for 99.999% users, at least in 2016 and 2017.